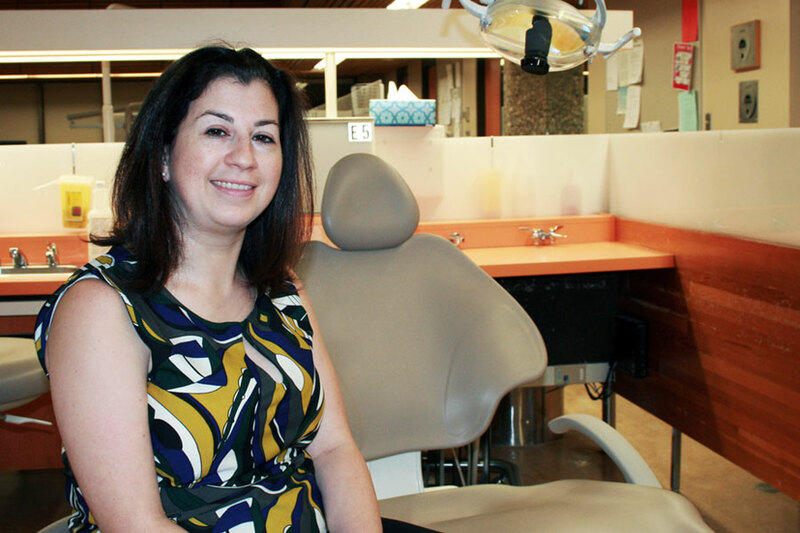 The Syrian refugees who have recently relocated to the Saskatoon area face many challenges, but thanks to the College of Dentistry at the University of Saskatchewan, finding oral health services isn’t one. It was through her work as part of a refugee sponsorship group that Dr. Alyssa Hayes, assistant professor of dental public health, recognized the college had an opportunity to contribute to the welcoming effort. With the backing of Dr. Gerry Uswak and others in the college, a Filling the Gap clinic was set up in early May, explained Hayes. Three fourth-year graduates—Drs. Stephanie Shnier, Danielle Briere and Evan Jarvi—agreed to staff the clinic, and the college began accepting referrals from local settlement agencies. Since then, more than 100 referrals have been received, according to Kelly Delainey-Shelley, a clerical assistant who is in charge of fast tracking their appointments. And those appointments typically include entire families that range in size from four people to 12. But for a family of 12, the cost of seeing the dentist can be daunting. Hayes pointed out oral health is not part of Canada’s health care system, refugees have only limited coverage under the Interim Federal Health Program and few have private insurance. Even with the college’s reduced fee structure—about 40 per cent less than what is charged by dentists in private practice—finding the right solutions can take time. To make the process as smooth as possible, the college also pays for the families’ transportation to and from the campus for their appointments, and for an interpreter to be present in the clinic to ensure accurate communication. For Hayes, the college’s effort brings with it the satisfaction of knowing the region’s newest residents have one fewer worry as they settle into life in Saskatchewan.